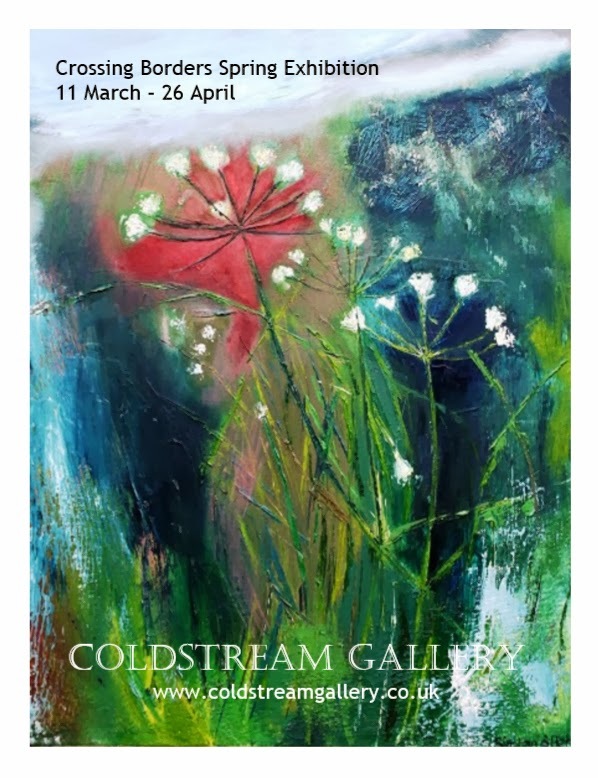 Next week sees the opening of the Crossing Borders Spring Exhibition at Coldstream Gallery. Both Rich and I have been working on pieces for this exhibition including these daffodils which I would like to keep hanging on our wall, March at last, come on the spring! This morning a man delivered a box of bulbs for the garden and, despite having to answer the door in a dressing gown, walking socks and a towel on my head, it left me excited for the coming change in the seasons. Mr Delivery Man, I apologise that every time you come to our door laden with good things I answer in various states of hurried dishevelment. I will try better in the future but I'm not usually at my best before 8am!